In our blog series on the challenges facing today’s testing Center of Excellence (CoE), we’ve shown how making the move to an open-source testing platform can ensure your testing team’s future relevance. Open-source tools can help you eliminate bottlenecks, provide decentralized test coverage for your Agile developers, broker appropriate test resources, integrate upstream and downstream workflows, and ensure continuous improvements that benefit both your developers and their customers. But there is one additional benefit. The lack of project visibility across distributed Agile teams can lead to costly production delays, when right resources are not assigned to the right projects in a timely manner. 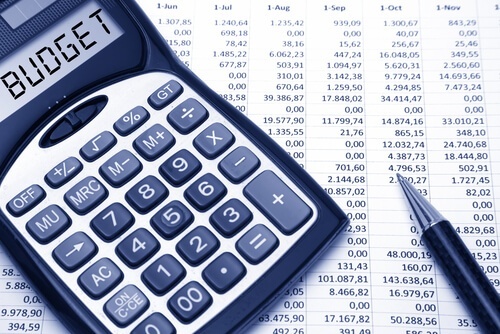 With time to market now longer and the impact of increased operating costs on the IT budget, with mention mounting tensions between the Test CoE and Agile teams, the move to an enterprise grade open-source based testing tool can be great for your bottom line. That’s the conclusion of analysts at Forrester Consulting, who conducted a Total Economic Impact™ study on the business benefits companies experience when they adopt CA BlazeMeter’s open-source performance and load-testing tools. Forrester took a deep dive into the experiences of five teams who now use BlazeMeter as their testing platform of choice. Analysts say that before BlazeMeter, all five organizations were mired in cumbersome testing processes using tools that were haphazard, slow and expensive. It often took weeks for centralized testing teams to find time to put new code through its paces, which made it impossible to support an Agile delivery model. After adopting BlazeMeter, each of the five teams experienced dramatic improvements. By automating and standardizing end-to-end performance and load testing on an open-source platform, the companies could successfully shift testing left and shorten their release cycles. They could test more, test earlier and share the results broadly using real-time reporting. And they could affordably conduct comprehensive load tests at scale and on demand. Improved application performance by a factor of 10. BlazeMeter helped teams catch more issues before apps were released to production – improving performance and the user experience. Reduced operating costs by $300,000 annually. Adopting BlazeMeter allowed organizations to eliminate the high-cost, proprietary testing tools they previously used, which significantly reduced ongoing expenses. Delivered millions in cumulative savings. 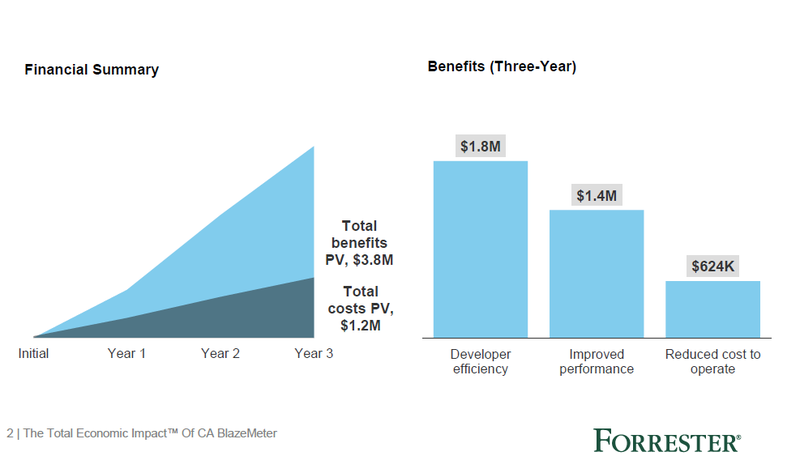 Forrester found that BlazeMeter delivered benefits of $3.8 million over three years versus costs of $1.2 million, for a net present value of $2.6 million and a 207% return on investment. Isn’t it time your team made the move to open-source platform that is enterprise ready? Take the first steps of democratizing software testing across Agile teams today. Adopting CA BlazeMeter testing tools can help you banish bottlenecks, save money and improve the quality and performance of your applications. Visit our website to explore the features of BlazeMeter and download a free copy of the Forrester study discussed in today’s blog. Also, stay tuned to this place. We’ve got an exciting new BlazeMeter release coming shortly that you don’t want to miss. Meanwhile, remember to request your free demo! What it takes to CoDE?